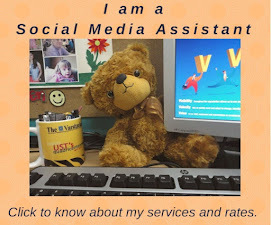 As most of you know, I am a very busy working mom. All my children are young adults, and yet, despite their age, I am still the one responsible preparing meals for the family. I have to mind the budget, and we opt for delicious, nutritious and easy to prepare dishes. One of the things I do to stretch the family's food budget is to make sure that the dishes I make can be "recycled" into another dish a day or two after. I will be writing about our favorite "Recyclable Dishes" and point you to where you can get easy to follow recipes for them. For today, I want to introduce you to Pork Adobo (Adobong Baboy) and its recycled variant, Adobo Flakes. Filipino food is truly comfort food. One of our family's favorites is Pork Adobo. It is what we call "emergency food," because it is so easy to make and the ingredients are always available in the kitchen. 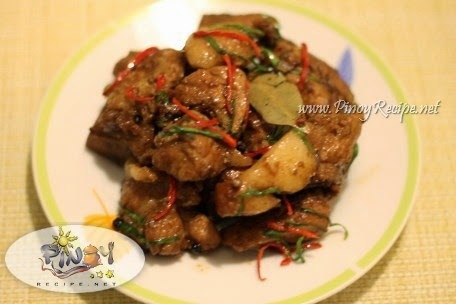 Pork Adobo is made of chunks of pork sauteed with lots of garlic and a medium sized onion. Soy sauce is added, together with black peppercorns and bay leaf. A cup or two of water is added and the pork is simmered until tender. 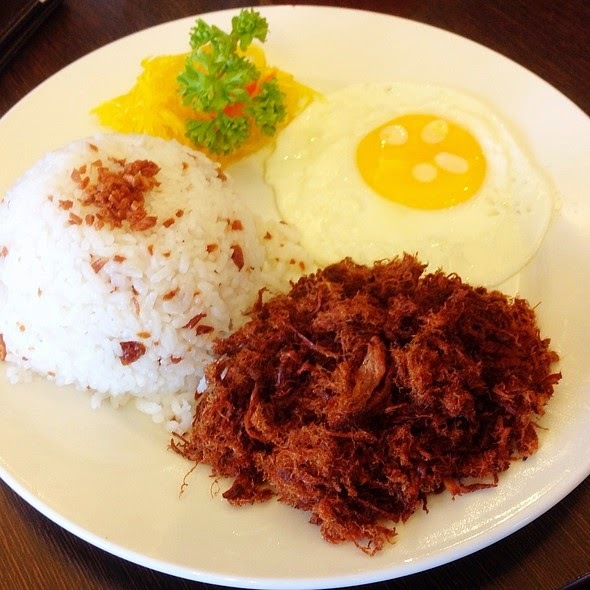 There are many variations of pork adobo, depending on the region where it is prepared. Some substitute soy sauce for salt and then add tumeric (Adobo sa Dilaw), others cook it with coconut milk (Adobo sa Gata), some even add chili peppers for that nice "kick." My family prefers the standard garlicky pork adobo. You may view the complete recipe here. If there would be left-overs, which I really doubt, the budget conscious me would create another popular dish called "Adobo Flakes." This is done simply by flaking the left over pork adobo, browning some finely chopped garlic in a pan and then frying the pork flakes until they are crunchy. This makes a nice sandwich filling which my sons can take with them to school. It can also be a yummy topping over fried rice, served with scrambled/fried egg and a side salad. I would strongly suggest you try out these recipes. It not only helps stretch your budget, it is definitely a dish your family would enjoy. Watch out for the next recyclable recipe!